Bitcoin’s big stock market debut is coming at a bad time. Three of the world’s top makers of cryptocurrency technology are planning to sell shares, giving investors a new way to bet on digital currencies. They’re reportedly hoping to raise billions of dollars. Unlike the dollar or the euro, which are issued by central banks, cryptocurrencies are based on computer code. Bitcoin, for example, is created and traded through the “mining” process in which computer algorithms solve increasingly complex math problems. Bitmain, Canaan and Ebang, which are all based in China, make money by selling the high-tech parts and systems that power this mining. Together, they dominate the business. But the three companies operate in a young, unpredictable industry and are planning their IPOs in Hong Kong in brutal market conditions. The price of bitcoin, which soared to nearly $ 20,000 in December, has since plunged by about two-thirds. Other cryptocurrencies like ethereum have plummeted, too. “If the market price of cryptocurrencies suddenly falls … demand for our mining hardware and cryptocurrency mining services will also drop rapidly,” Bitmain warned potential investors this week. Bitmain is the world’s biggest maker of bitcoin mining technology. On top of that, Hong Kong’s stock market, where the companies plan to list, entered a bear market this month, having plunged more than 20% from its previous peak because of concerns about China’s economic slowdown and trade war with the United States. The mining technology companies haven’t said when exactly they plan to go public or how much they’re seeking to raise. Bitmain and Canaan declined interview requests, while Ebang didn’t respond to a request. “These firms might be looking to cash out before the market takes an even steeper nosedive,” said Benjamin Quinlan, founder of Hong Kong-based financial services consulting firm Quinlan & Associates. He points out that cryptocurrencies are slowly gaining more acceptance among mainstream investors despite recent setbacks, and that the three mining companies’ revenues are still growing. But the industry faces major challenges. A key one is how governments go about regulating digital currencies. Last year, China banned most activities involving bitcoin. 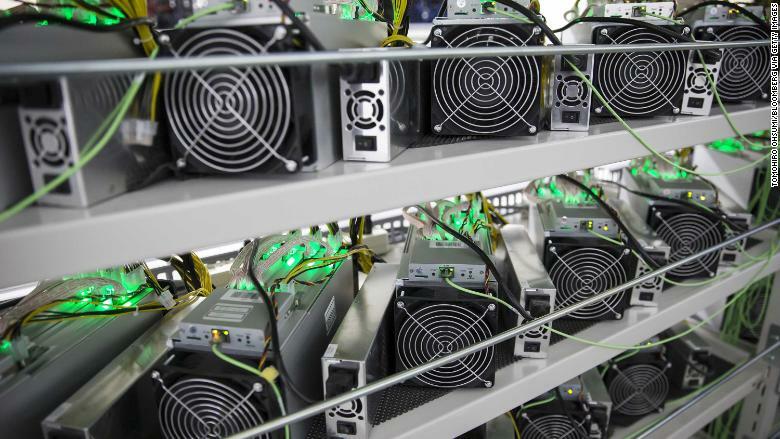 The country is still thought to be home to a significant number of cryptocurrency mining operations, but authorities have been trying to push them out. Cryptocurrency miners need huge amounts of electricity to run their rooms full of computing equipment around the clock. Some public utilities in the United States are already introducing higher tariffs specifically for miners. 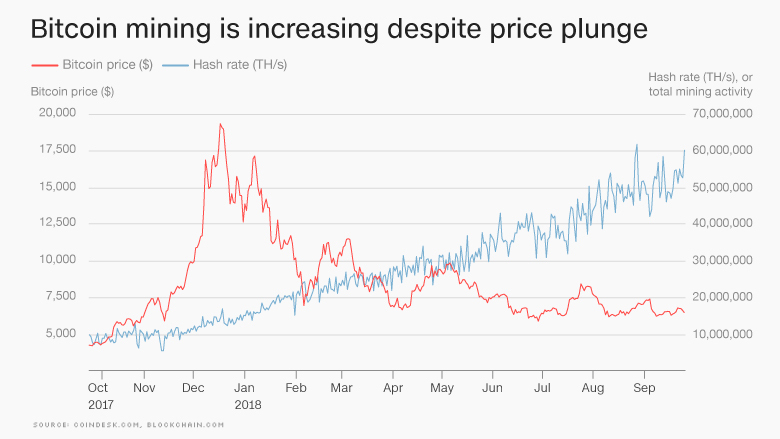 “Increasing the cost of bitcoin mining will decrease the demand for mining equipment, hindering the performance of these companies,” Quinlan said. Mining cryptocurrencies is already less lucrative than it used to be. Bitcoin mining activity has exploded over the past year, boosting demand for the technology. But that means the profits from mining are spread more thinly across a greater number of users. That could hit future demand for mining equipment. Will the mining boom last? Bitmain, Canaan and Ebang were all profitable in their most recent financial year, according to documents setting out their intention to go public. But staying in the black will be a “massive challenge,” said Leilei Wang, a Shanghai-based consultant at research firm Kapronasia. The companies are aware of the risks they face and are trying to adapt. For example, they say they are increasing investment in more advanced chip technology that can be used in areas like artificial intelligence, cybersecurity and connected devices. Although the Chinese government has a tough stance on cryptocurrencies in general, it’s eager to bulk up the country’s technological prowess in areas like computer chips. Chinese companies are still largely reliant on foreign chip technology, especially from the United States. “Whether [the cryptocurrency companies] are able to successfully pivot remains to be seen,” Wang said. For now, their fate is tied to that of the wider industry. “Cryptocurrencies will likely fall out of favor” without greater mainstream adoption in the near future, Quinlan predicted. The mining equipment makers “will find it extremely difficult to survive when the cryptocurrency market, as a whole, withers away,” he said. But bitcoin bulls are still hopeful that the currency can stage a recovery as financial exchanges and big companies start to take it more seriously. 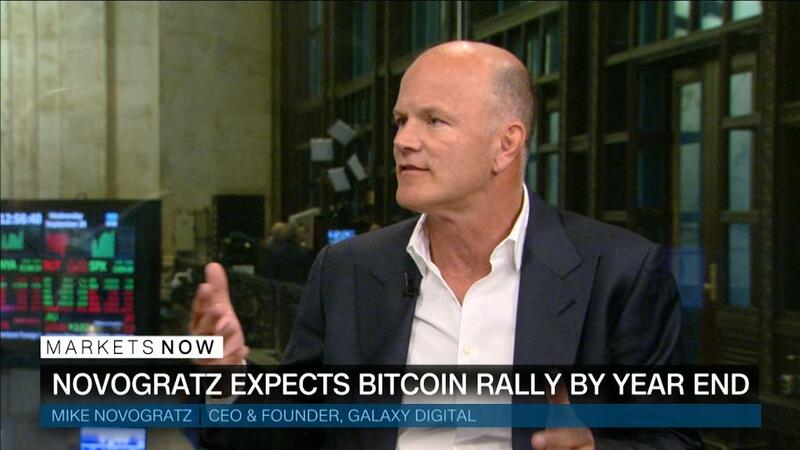 “As you see more adoption of just people being comfortable with it, it feels like it’s going to go up,” Mike Novogratz, CEO of cryptocurrency investment firm Galaxy Digital, told CNN this week.